A typically morbid being cannot become healthy, much less make itself healthy. For a typically healthy person, conversely, being sick can even become an energetic stimulus for life, for living more. This, in fact, is how that long period of sickness appears to me now: as it were, I discovered life anew, including myself; I tasted all good and even little things, as others cannot easily taste them—I turned my will to health, to life, into a philosophy. For it should be noted: it was during the years of my lowest vitality that I ceased to be a pessimist; the instinct of self-restoration forbade me a philosophy of poverty and discouragement. What is it, fundamentally, that allows us to recognize who has turned out well? That a well-turned-out person pleases our senses, that he is carved from wood that is hard, delicate, and at the same time smells good. He has a taste only for what is good for him; his pleasure, his delight cease where the measure of what is good for him is transgressed. He guesses what remedies avfail against what is harmful; he exploits bad accidents to his advantage; what does not kill him makes him stronger. Instinctively, he collects from everything he sees, hears, lives through, his sum: he is a principle of selection, he discards much. He is always in his own company, whether he associates with books, human beings, or landscapes: he honors by choosing, by admitting, by trusting. He reacts slowly to all kinds of stimuli, with that slowness which long caution and deliberate pride have bred in him: he examines the stimulus that approaches him, he is far from meeting it halfway. He believes neither in “misfortune” nor in “guilt”: he comes to terms with himself, with others; he knows how to forget—he is strong enough; hence everything must turn out for his best. Well, then, I am the opposite of a decadent, for I have just described myself. Thought-provoking post. When I see “his pleasure, his delight cease where the measure of what is good for him is transgressed” it sounds strikingly like Ray’s fundamental argument based on the right to self and property. 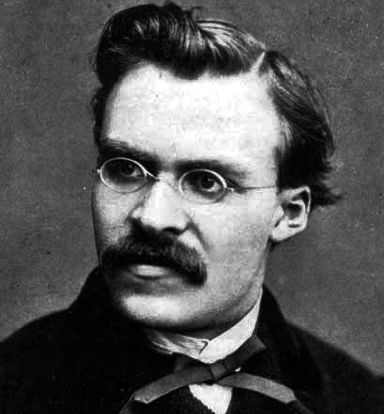 Yet this is Nietzsche, reviled by some as a sycophant whose rationales helped found National Socialism.